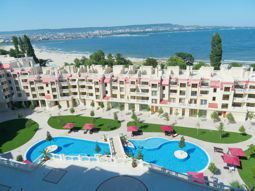 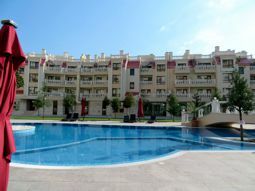 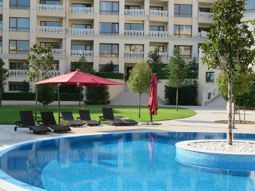 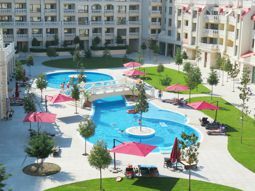 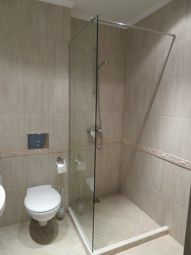 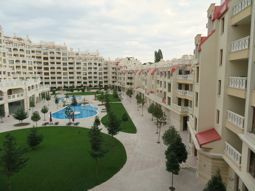 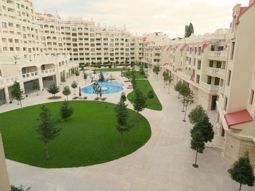 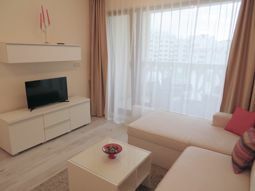 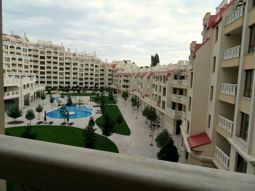 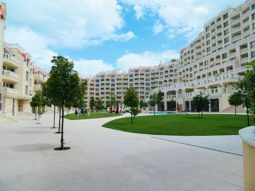 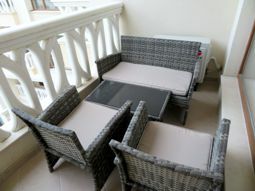 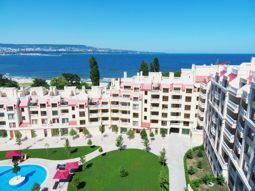 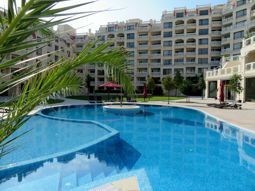 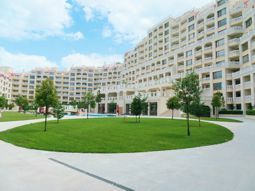 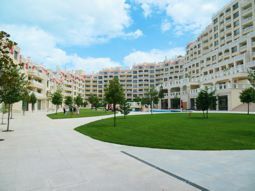 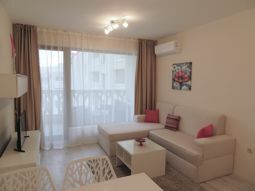 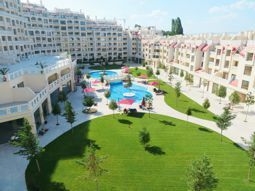 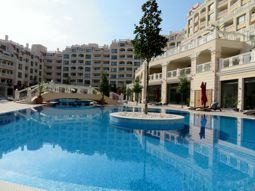 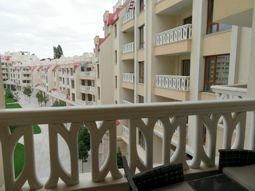 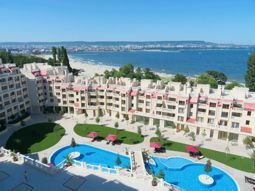 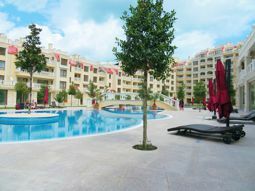 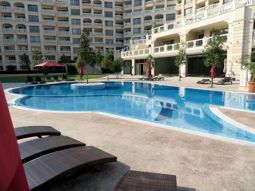 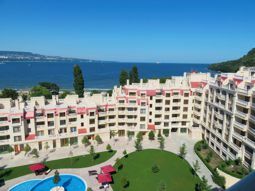 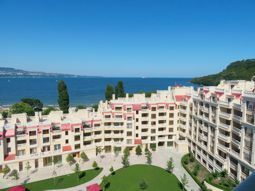 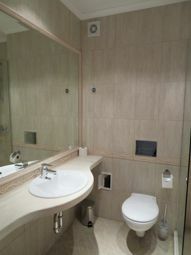 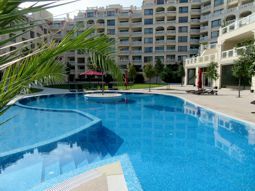 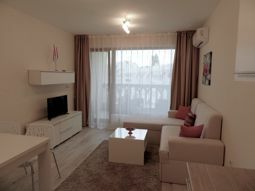 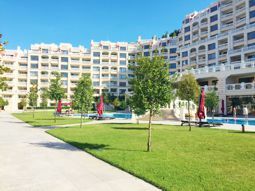 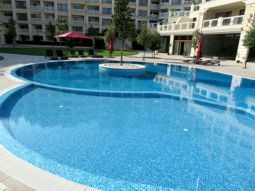 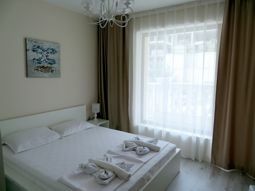 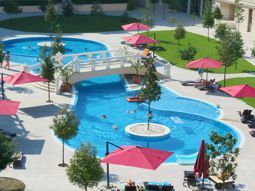 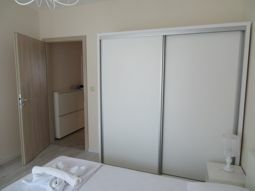 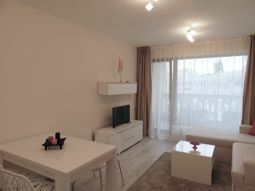 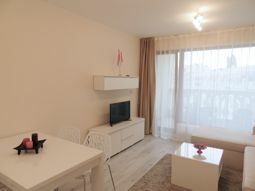 Varna city center located only 7/8 minutes’ drive. 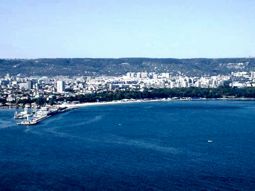 In Varna city you can enjoy the night live of the big city – coffee bars, restaurants, night clubs, casinos etc. 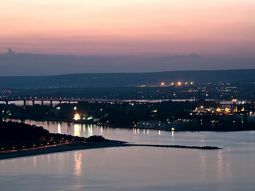 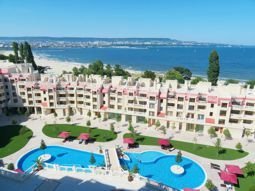 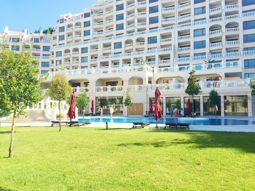 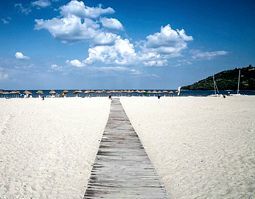 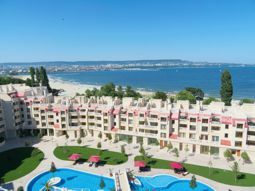 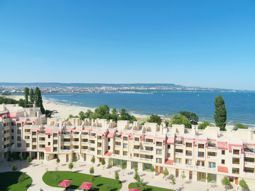 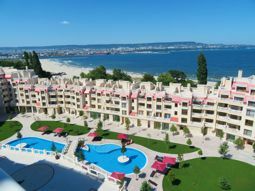 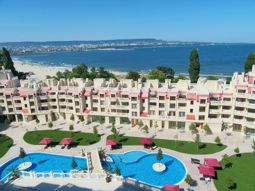 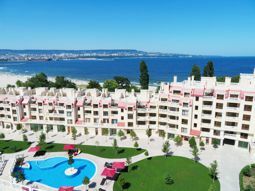 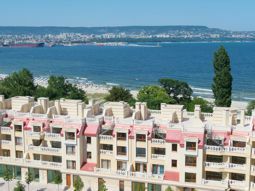 There are a lot of discos located first line on the Varna beach, where you can have fun till the morning and welcome the first morning lights on the sea shore. 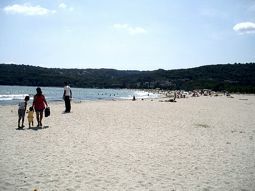 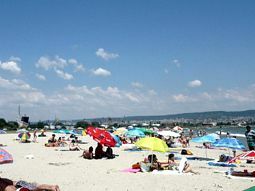 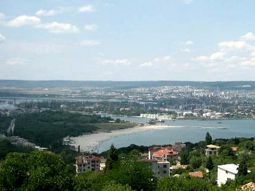 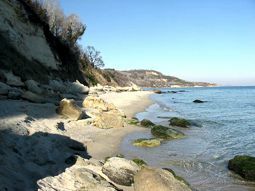 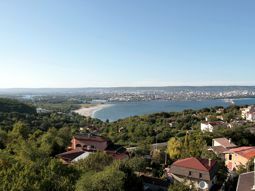 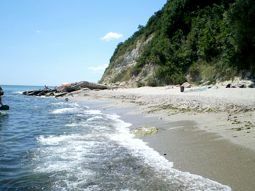 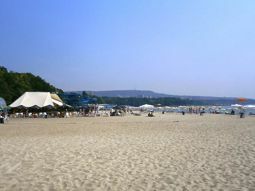 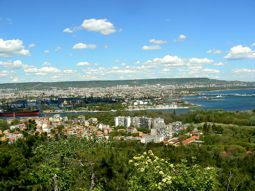 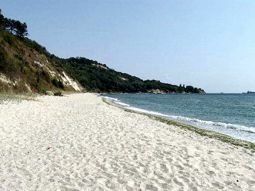 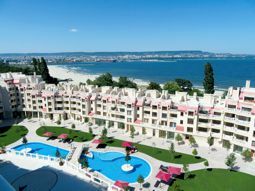 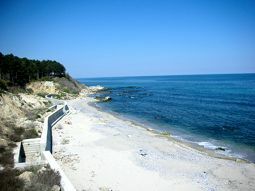 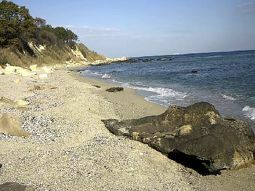 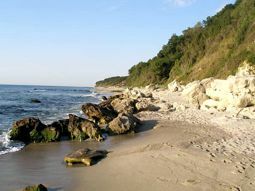 Varna also offers a variety of shopping malls and cinemas, theater and opera. 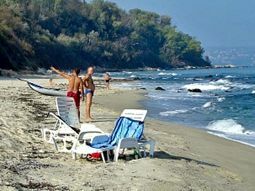 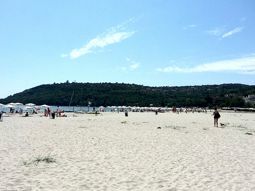 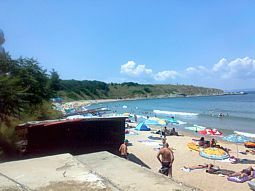 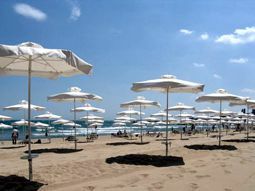 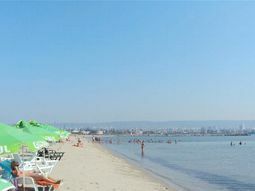 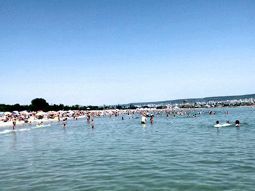 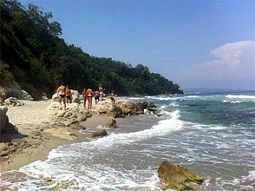 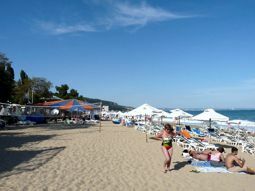 During the summer season famous musicians and bands are playing live concerts in Varna. 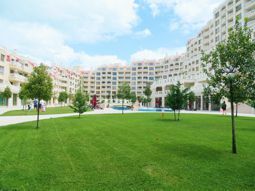 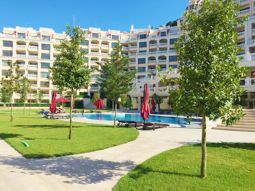 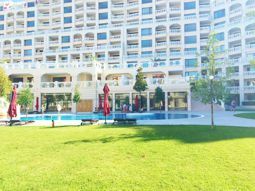 The Sea garden is a great place where you can spend a day just walking and contemplate the sea waves and nature or entertain your kids in the large kids center in the heart of the park. 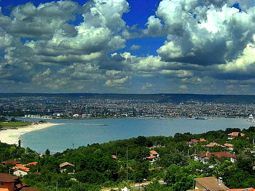 There is also a zoo and dolphinarium, which will give you pleasant hours among the animals. 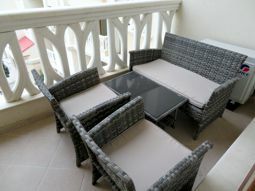 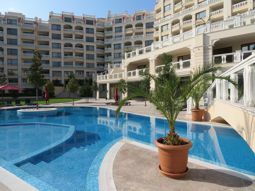 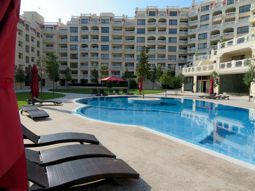 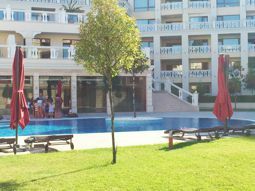 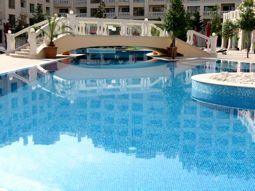 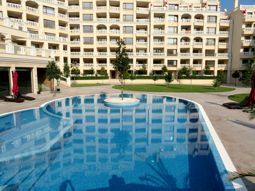 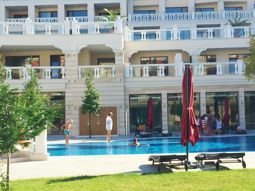 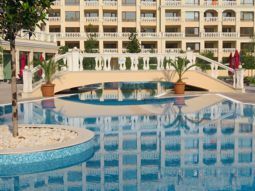 Apartment VIII-7 is situated on the second floor with perfect pool view. 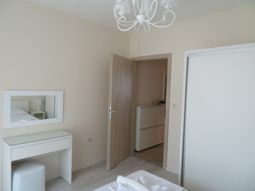 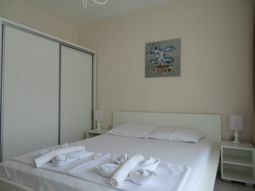 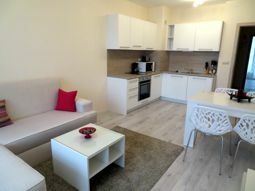 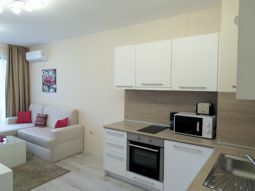 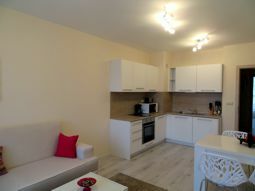 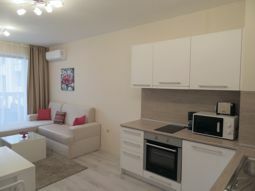 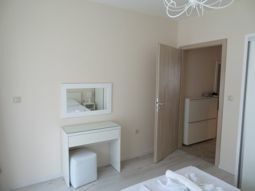 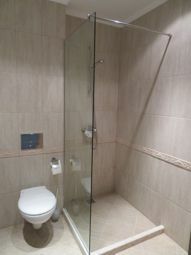 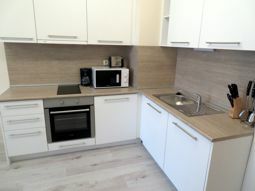 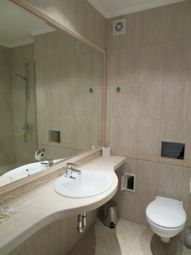 The apartment is with one bedroom with double bed and wardrobe; one bathroom with shower-cabin, toilet and wash-basin; large living room with sofa bed where two people can sleep; dining area with table and chairs; fully equipped kitchen with oven, hot-plates, microwave, toaster, kettle for hot water, coffee machine, washing machine, large fridge and all necessary pottery for preparing and serving food; tv with cable tv and wifi internet; the flat is serviced from an air-conditioner in the living room; the living room leading to the balcony with rattan table and chairs and nice pool and garden view; The apartment is suitable for 2/4 people.